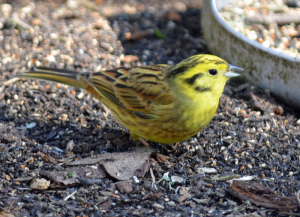 Observation - Blurry Yellowhammer - UK and Ireland. Description: More out of focus photos. They cheat my focus sensors. Must try manual focus next time. More out of focus photos. They cheat my focus sensors. Must try manual focus next time.